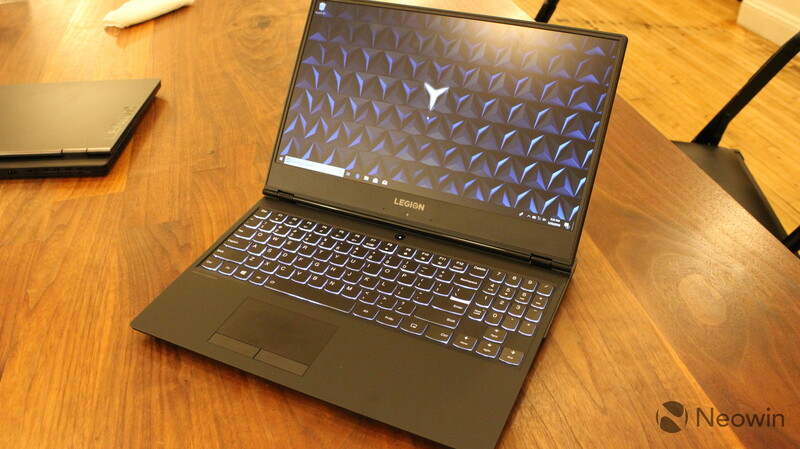 A couple of months ago, Lenovo finally announced a refresh for its gaming PCs, offering all-new designs. Frankly, the new designs were welcome, as last year's models left something to be desired. 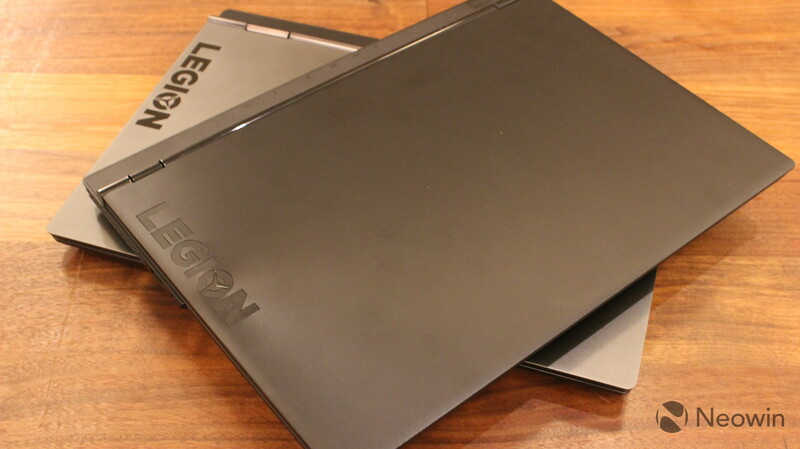 The new Legion Y530 and Y730 are sleek and professional, while packing a punch. 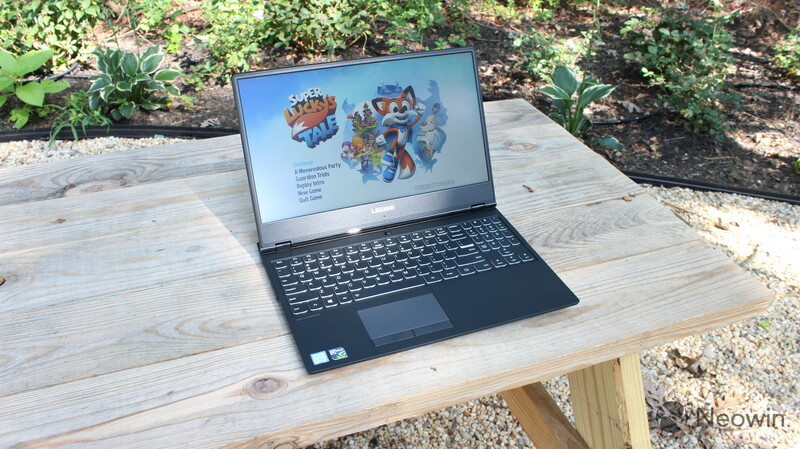 Just as you'd expect, the new PCs come with Intel's eighth-generation 45W Core processors, along with graphics from Nvidia. The bezels around the display have been slimmed down as well. This is the type of machine that can be used for both work and play. 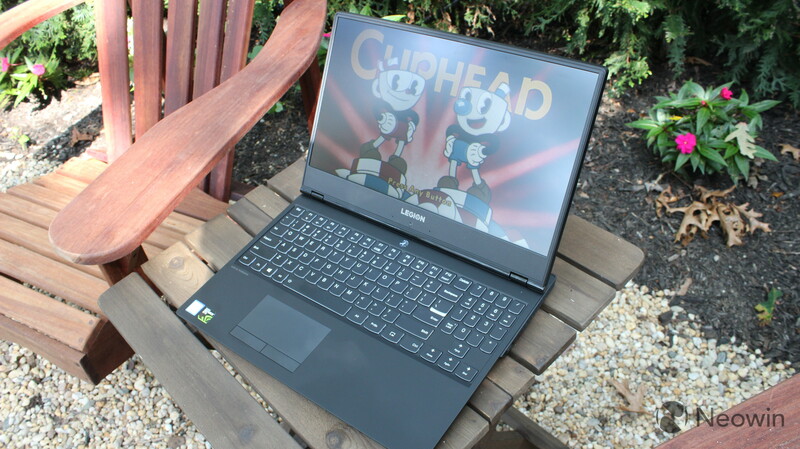 It's built for productivity, but it has the power for gaming as well. I'll go deeper into this later on. 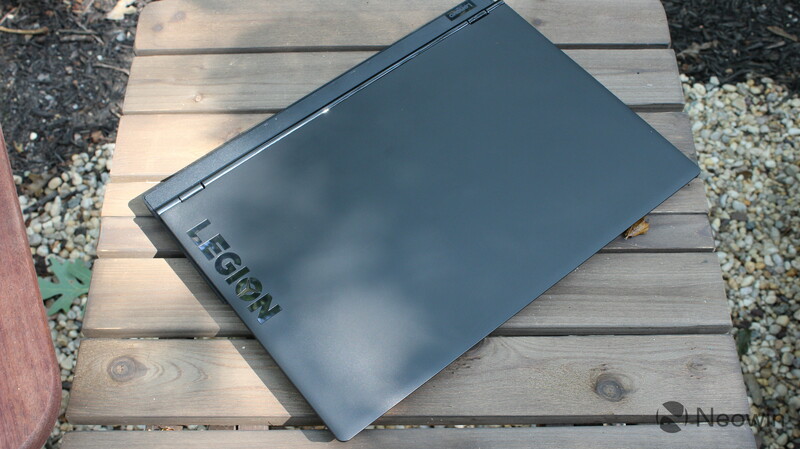 The Legion Y530 actually starts at $749.99, which doesn't come with an SSD and it has a GTX 1050 GPU instead of a 1050Ti. There are a couple of options you might want to consider though. 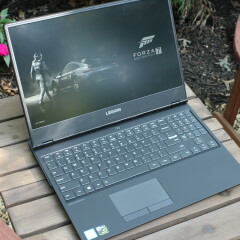 For one thing, you can get it with a Core i7, which is six cores, whereas the i5 is quad-core. 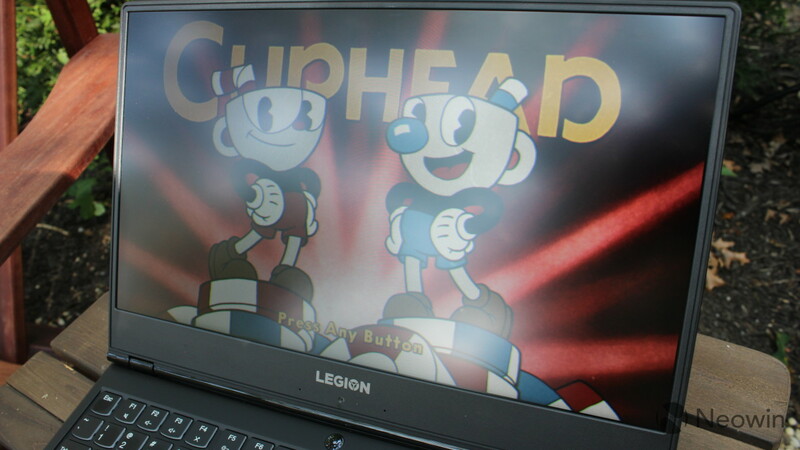 Also, the 1080p display can be configured with a 144Hz model. 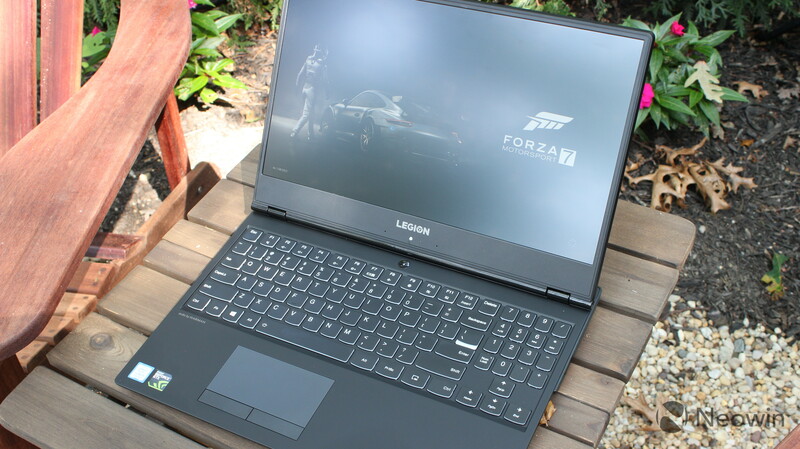 A good word to describe the design of many gaming laptops would be flamboyant. They tend to have bright colors, LED lights, and designs that you might not want to show off at work. 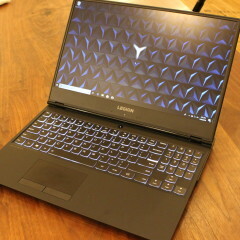 As Lenovo explained it to me, you might not want to take a PC to work that has a snake on the back of it. And while some gamers might have a dedicated PC for playing games, there are plenty of people that want a PC to take to work, but just want to be able to play some games once in a while. 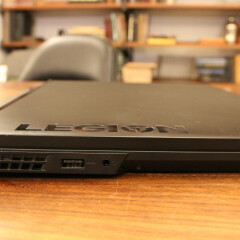 That's where the Legion Y530 comes in. 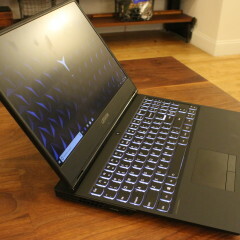 Not only is it more stylish than last year's bland laptops, it's also more professional looking. 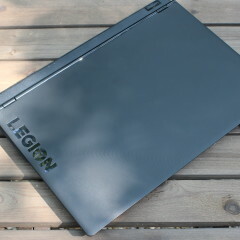 The color is all black with new Legion branding on the top. 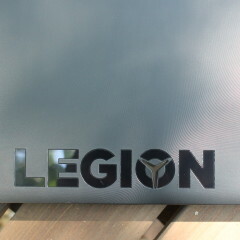 There's a white light in the Legion logo, and the keyboard is backlit with white light. 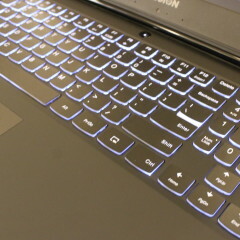 Both of those are RGB on the Y730. 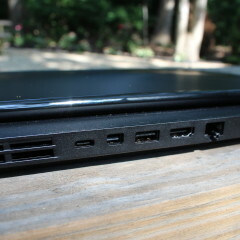 One functional design change is that most of the ports have been moved. Now, on the back of the machine, you'll find a USB Type-C port, Mini DisplayPort 1.4, USB 3.1 Type-A, Ethernet, power, and Kensington Lock. 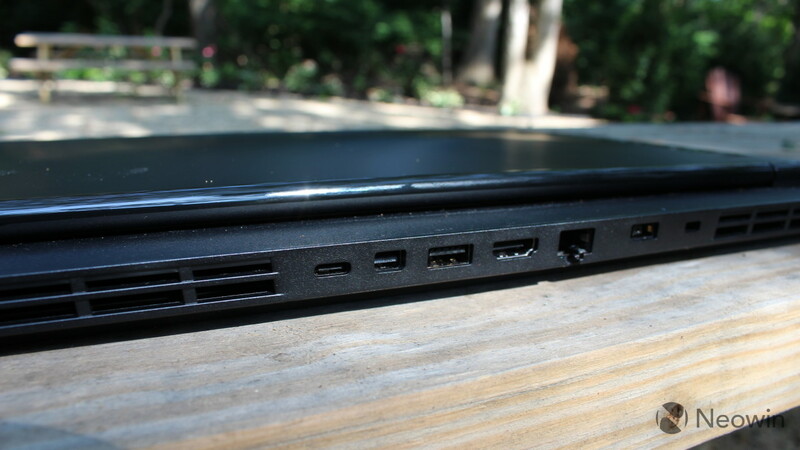 This is great for cable management, but if you still need to plug something in while you're using it, there's an additional USB 3.1 Type-A port on the right, and on the left, a USB 3.1 Type-A port and the 3.5mm combo audio jack. 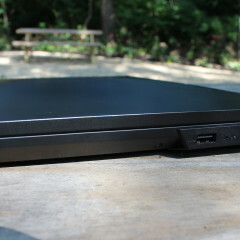 I do find it disappointing that Lenovo stuck with its proprietary charging port on this one, which uses a 135W charger. 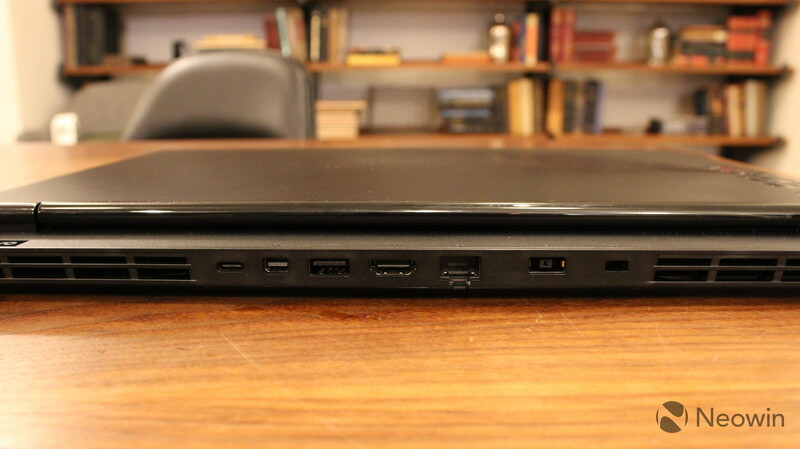 Sadly, the USB Type-C port doesn't support charging at all. I always prefer USB Type-C charging whenever possible, since it's just easier to use the same charger on all devices. There's also no reason that both ports can't support charging. 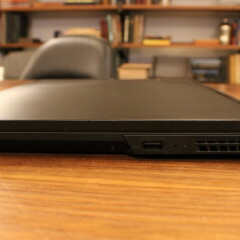 One of the nicest things about the design though is that it's fairly thin and light for a PC that's built for gaming. 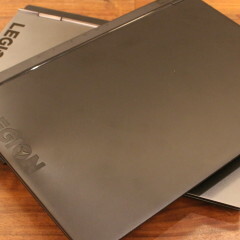 It weighs in at 5.1 pounds, and it's 24.2mm thick, making it fairly easy to put in a bag and take it on the go. 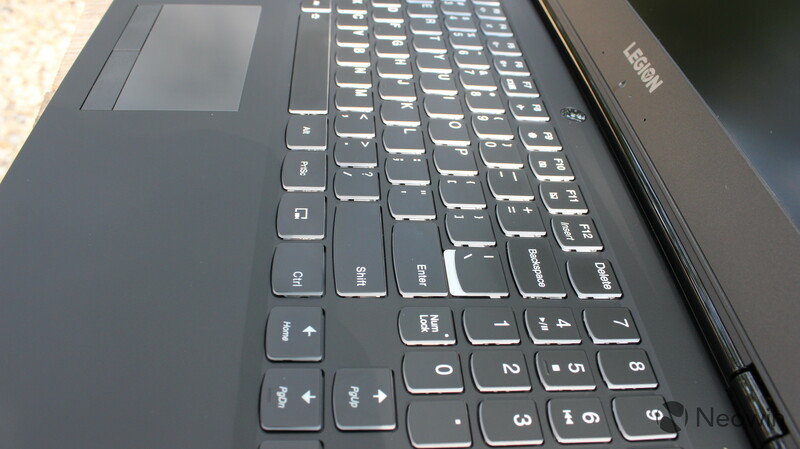 The narrow bezels around the display help it to fit a 15.6-inch screen into a smaller footprint. 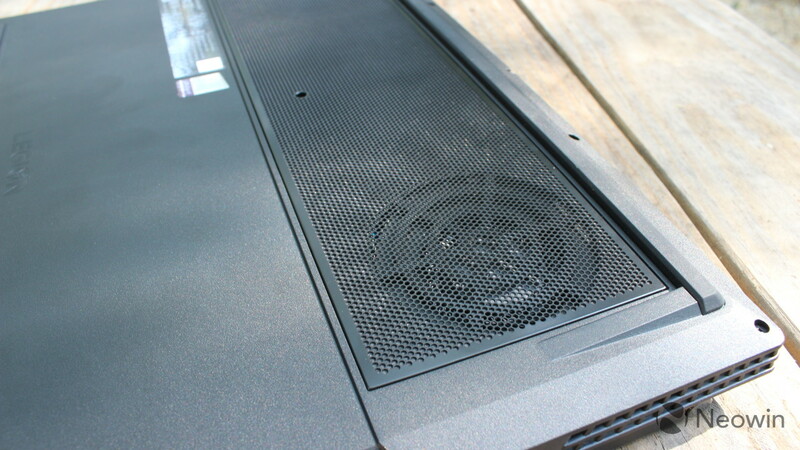 Lenovo is also continuing to optimize the ventilation of the device, moving the fans further apart to push air away from the GPU and the CPU. 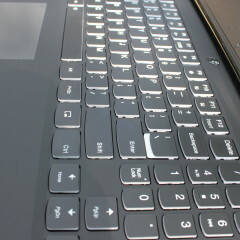 One thing that you might not like about the design is that the webcam is placed beneath the display. This is a matter of preference, as you might prefer a webcam with a proper placement, or you might prefer the immersion of a display with narrow bezels. 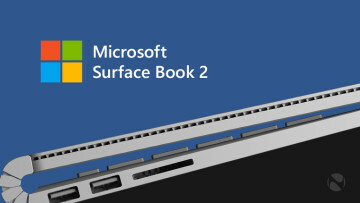 I've spoken to numerous OEMs about this choice, and they universally tell me that people just don't use their webcams. 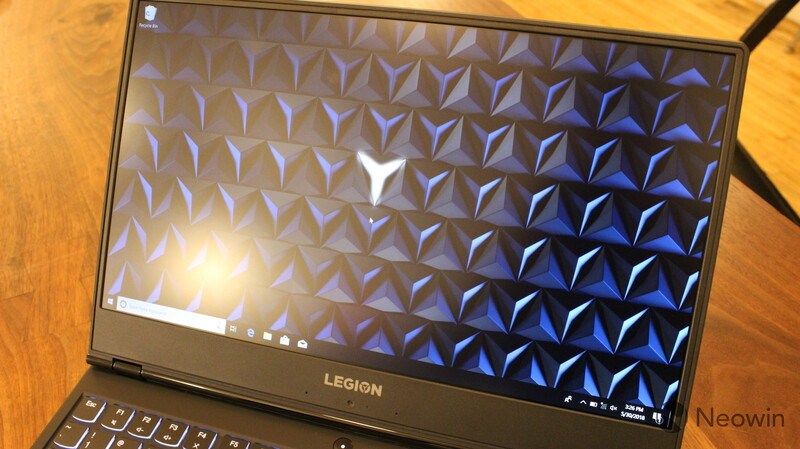 The 15.6-inch screen on the Lenovo Legion Y530 comes in two flavors: 60Hz and 144Hz. 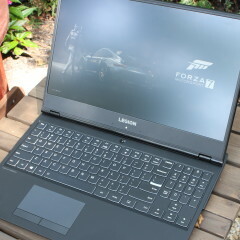 Lenovo sent me the former, and I kind of love it. It's one of very few anti-glare screens that I've used where the colors actually look vibrant, and it feels immersive with the narrow bezels on all sides. I think that the 60Hz refresh rate is fine, considering that your GPU options for this machine only go up to an Nvidia GeForce GTX 1050 Ti. The truth is that the GPU isn't powerful enough to handle heavy gaming, so I'm not sure how much you'd actually end up benefiting from a 144Hz screen. 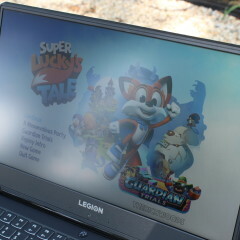 I was really impressed with how well the screen looks when using it outside. The anti-glare display really does its job, but it doesn't take anything away from the rest of the experience, which is pretty rare. Of course, it would be nice if there was a 4K model, or even one with 1440p resolution. 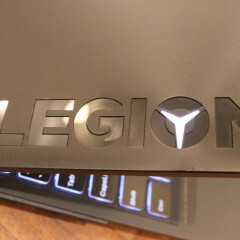 Remember, the Y530 is the lower end of the Legion lineup. 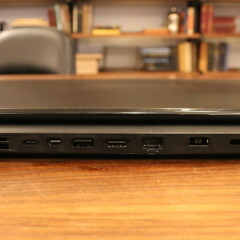 If you want something higher end, you're going to want to look at the Y730 or the unannounced Y930. I also found it just a little disappointing that there's no option for multitouch in the display. 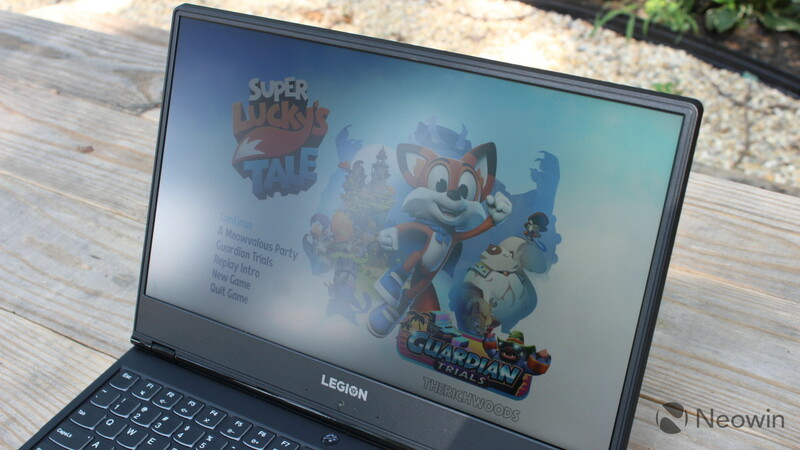 Of course, you'll never find a gaming PC that supports touch, but I'd hope to see it on a device that can be aimed at work and play. However, you'd want to be able to turn off touch while playing games. This is the type of keyboard that I prefer to use on a PC, and it's a big part of the 'work and play' theme that I've been talking about. 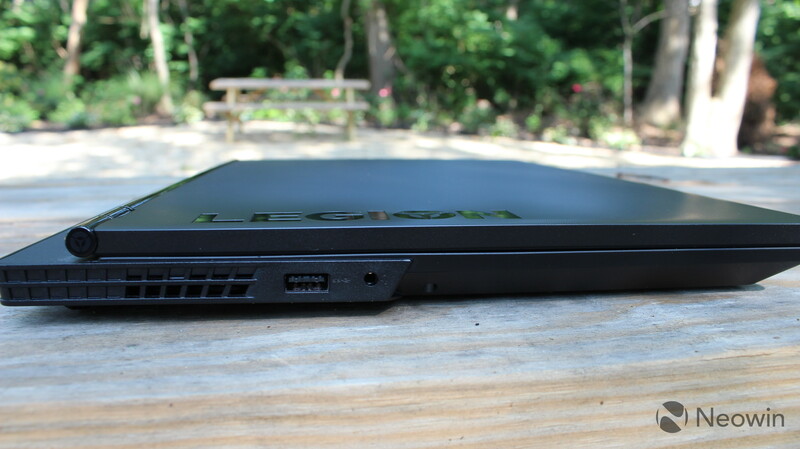 I've been writing this entire review on the Legion Y530, and the keyboard is just as comfortable as any that I use on other devices. 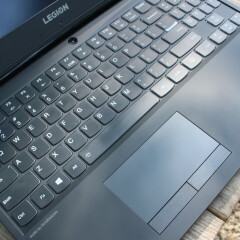 It has the rounded keys that are found on pretty much all Lenovo devices, and the 1.7mm keys are responsive. They're not overly sensitive, or under-sensitive. The keyboard isn't too loud either. 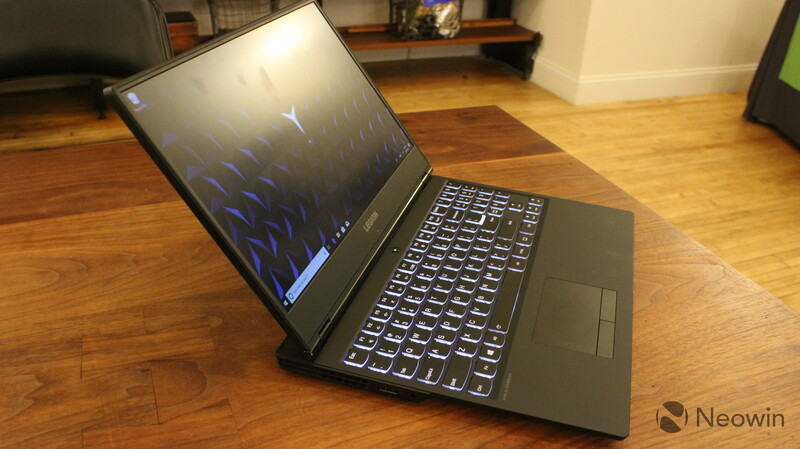 I've used a lot of gaming laptops that have mechanical keyboards, and while those are great for gaming, it's not what I like to use for work. 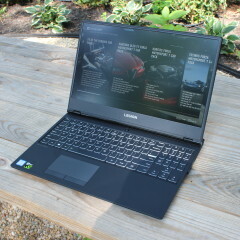 And this is what I've always wanted from a PC; I want to be able to use it for everything. After all, who wants to pay thousands of dollars for a PC that's great at gaming, and still need to have something else for work? I do realize that there are people who game really hard, and even those that earn a living at it. 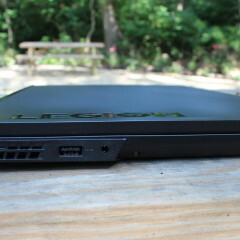 Those people will definitely want dedicated hardware for gaming, but the Legion Y530 isn't for them. 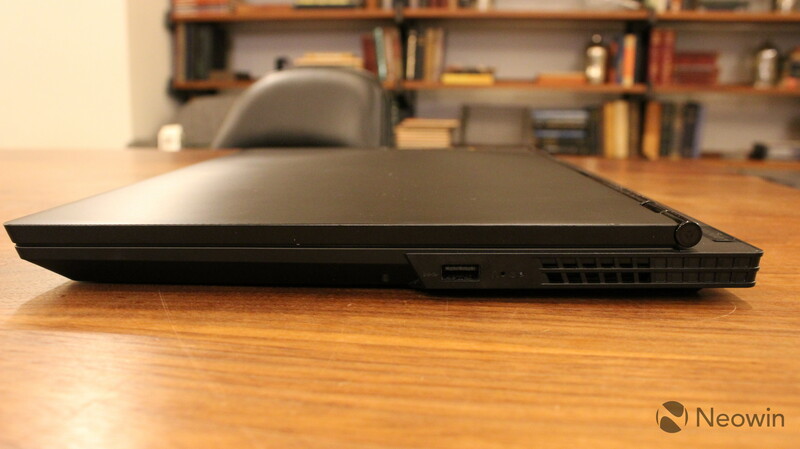 This laptop is for people that want both. You might not play games every day, but you still want to be able to. Unfortunately, the trackpad isn't clickable, so if you like to use the trackpad for navigation, you'll need to use the physical buttons that are placed beneath it. I'm more of a mouse type of guy, so this isn't a big deal for me, but it's still worth noting. 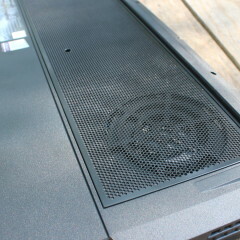 It's a gaming PC, so it all comes down to performance. 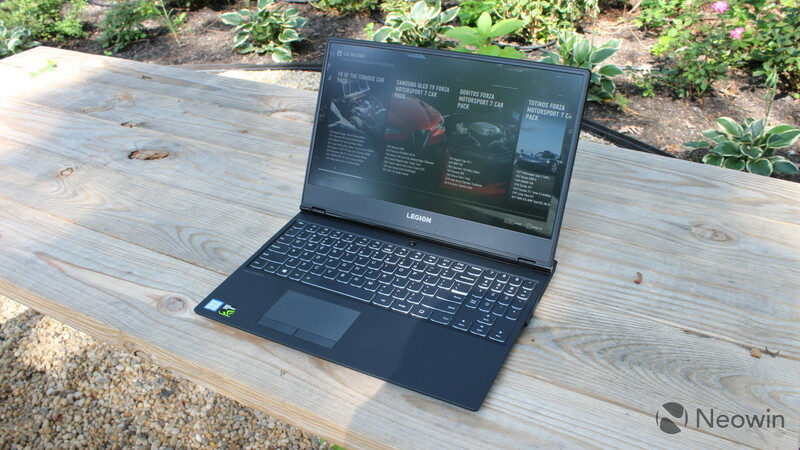 This model comes with an Intel Core i5-8300H processor, 8GB RAM, and an Nvidia GeForce GTX 1050 Ti with 4GB GDDR5. 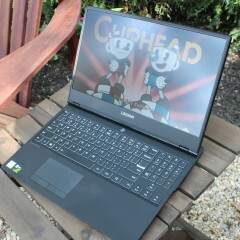 In my time testing it, I've edited video on it, played games, and of course, used it for normal work. I'd recommend a couple of upgrades when you buy this machine though. 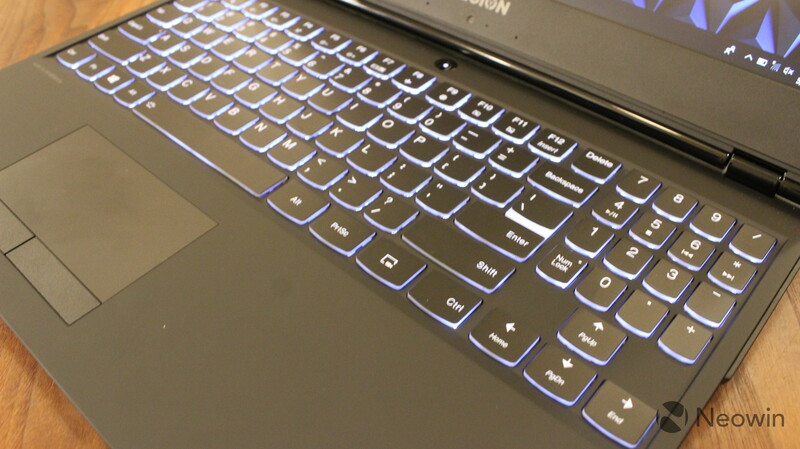 For one thing, you'll probably want 16GB RAM. It's between $100 and $120 more depending on the type of RAM you choose, but it's totally worth it in the long run. This is a gaming PC, so you'll want to use it for tasks that require a certain amount of power and a certain amount of memory, and you'll probably want it to last a while. Also, I'd recommend going for the Core i7-8750H option, which costs an additional $100. With the seventh-generation H-series processors, they were all quad-core. With the 8th-gen chips, the Core i5 models are still quad-core, but the i7 is actually hexa-core, so you get a big boost in performance there. 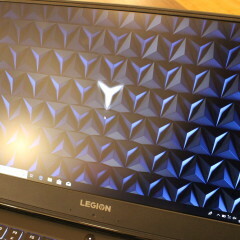 When using the Legion Y530 to edit 1080p 60fps video, it really didn't struggle at all, although the video did take longer to render than it would on a more powerful machine. 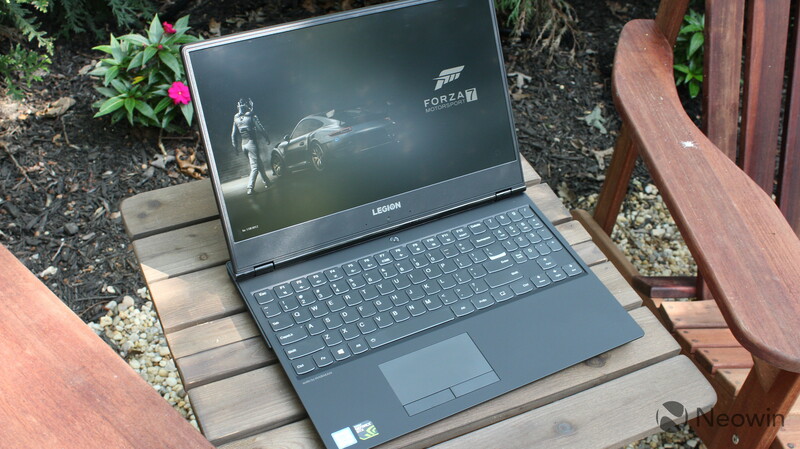 Gaming performance varies depending on the game and depending on your settings. It struggled a little bit with Forza Motorsport 7, but other games like Cuphead and Star Trek Online run great at their default settings. 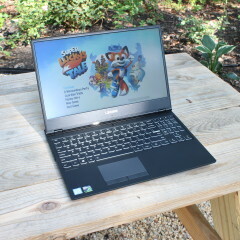 For benchmarks, I used PCMark 8, which provides three tests: Home, Creative, and Work. First up is Home, which checks common tasks like casual gaming, video chat, web browsing, and more. 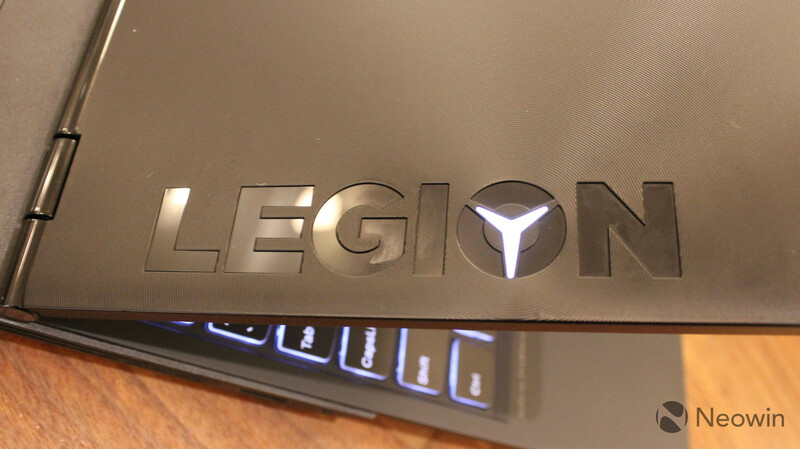 The Legion Y530 does perform pretty well, and you'll want to keep in mind that casual gaming is really what this machine aims for. 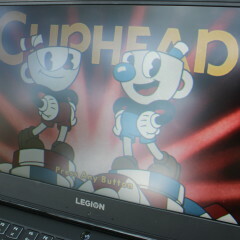 The next test, Creative, is for more GPU-intensive tasks, and this is where mainstream gaming gets checked alongside of video editing and more. Once again, the PC performs well. Again, you'll want to remember that if you really need a big boost in performance for heavy tasks, you'll want bumped up specs. Finally, the Work test checks productivity-related tasks like writing and spreadsheets. 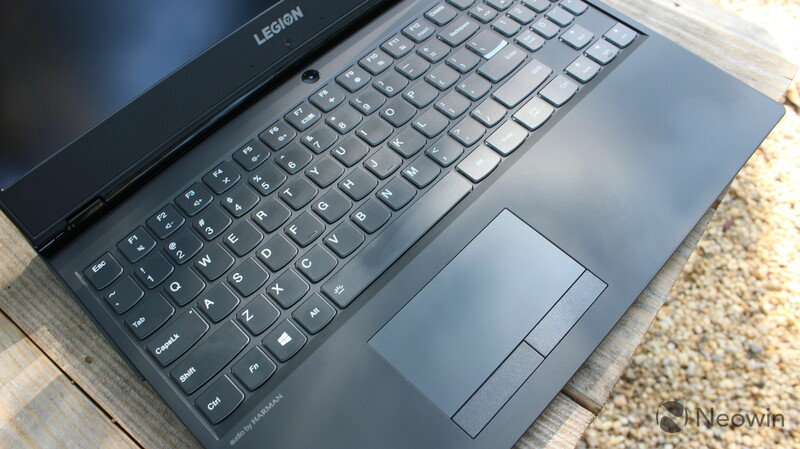 The Work test is where the Lenovo Legion Y530 really shines. 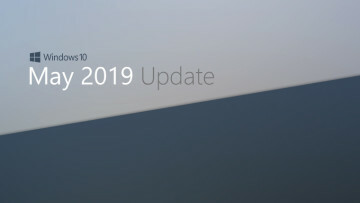 You'd be surprised at how many super-powerful PCs actually perform poorly on this portion of the benchmarks, so this is nice to see. The design changes are really impressive, and it's a lot easier to bring into a professional environment. 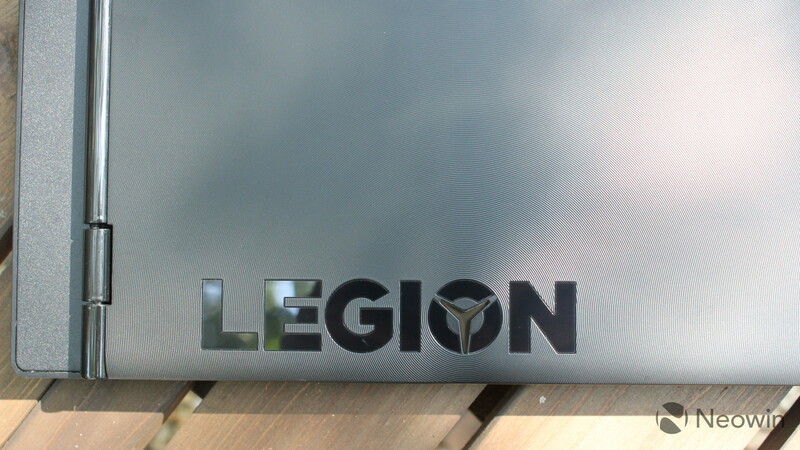 The new logo looks great, and the placement of the ports is perfect. It's great to be able to plug everything into the back, but still be able to plug peripherals into the sides if I need to. 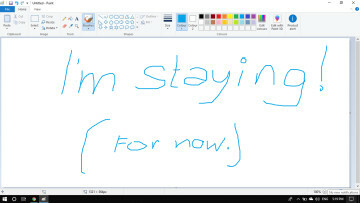 I'd have like to have seen some Windows Hello options on here, along with higher resolution options for the screen, but that's OK. 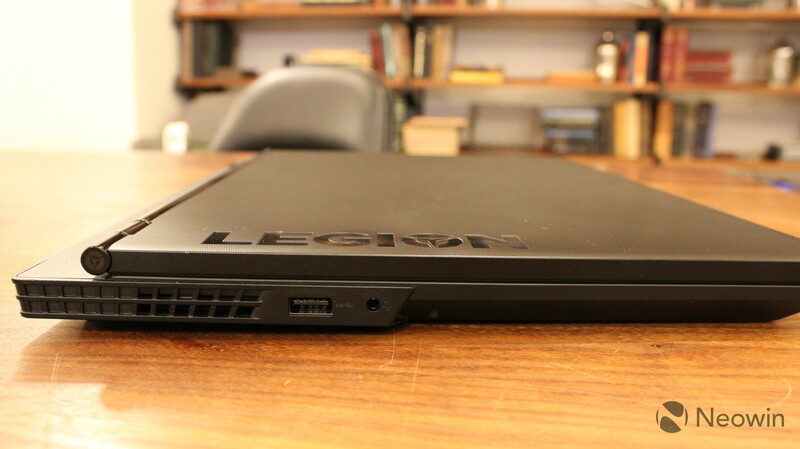 The price puts the Legion Y530 exactly where it needs to be. 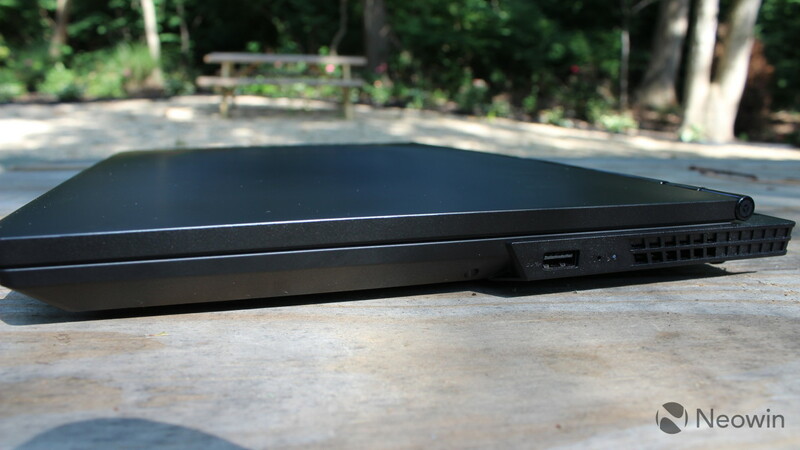 This PC is a utility player that you can use for just about anything.